Andrew W.K. 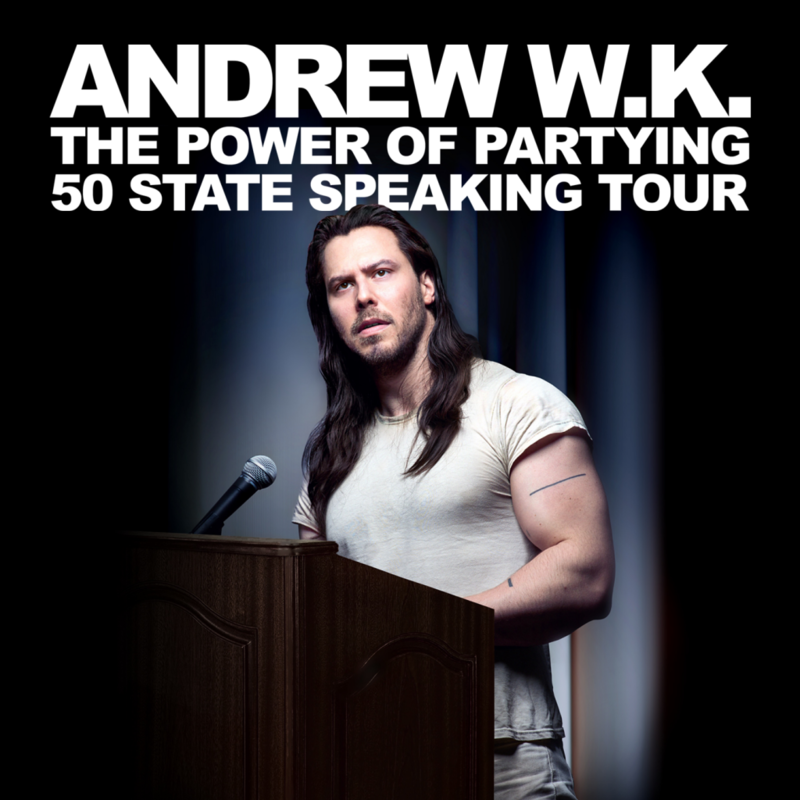 is pleased to announce The Power of Partying, his first nationwide speaking tour, spanning the entire country with stops in all 50 U.S. states. Each evening will be an intimate celebration of discussion, a pep rally for the inner spirit, and an optimistic look at the overwhelming intensity of life. The tour sees Andrew continuing his eternal mission to defend and promote human joy, and the never-ending collective search to find truth through partying.